Articularis Genu is composed of 3 or 4 muscular skids that are considered to be a separated part of the vastus intermedius. It originates from the anterior surface of the lower part of the shaft of the femur, few centimetres above the patellar articular margin. Into the upper part of the synovial membrane of the knee joint. It’s supplied by a twig from the nerve to vastus intermedius. 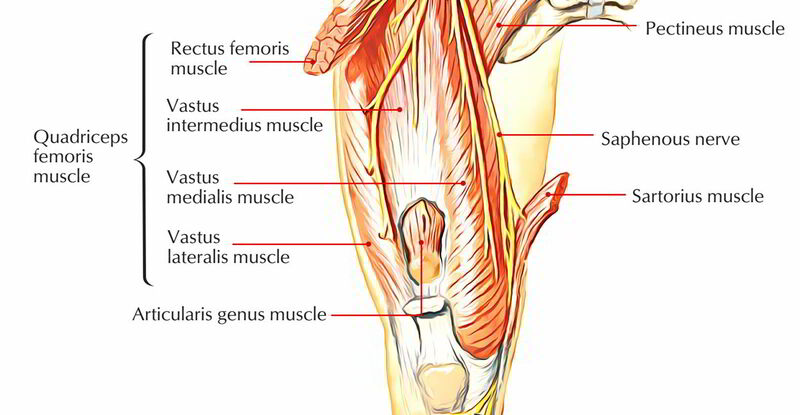 The articularis genu pulls up the synovial membrane upward to prevent its damage when the knee is extended.